To feel alive is to arrive at the perfect mix of wellness and serenity. Immersion in Ayurveda, Yoga and healing practices of the mystical land of India are nothing short of paradisiacal, especially if they are wedged at the fringes of a blue ocean – a perfect complementing landscape for a day at the spa. Add to that the wonders of the Far East and the contemporary therapies of the West and you have a wellness quotient that is unsurpassable. Designed to revitalize and rejuvenate, spa retreats symbolize complete unanimity of the body, mind and soul. The hum of the ocean is an ideal aural backdrop to a spa treatment. It soothes more than just the body – it tunes the rhythm of the soul to your mind, till you feel complete and one with nature. The Carnoustie Ayurveda & Wellness Resort in Mararikulam, off Allapuzha in Kerala, takes the traveller to the edge of the Arabian Sea to harmonize the senses to a blissful state with short and long spa treatments, yoga and modern International therapies. 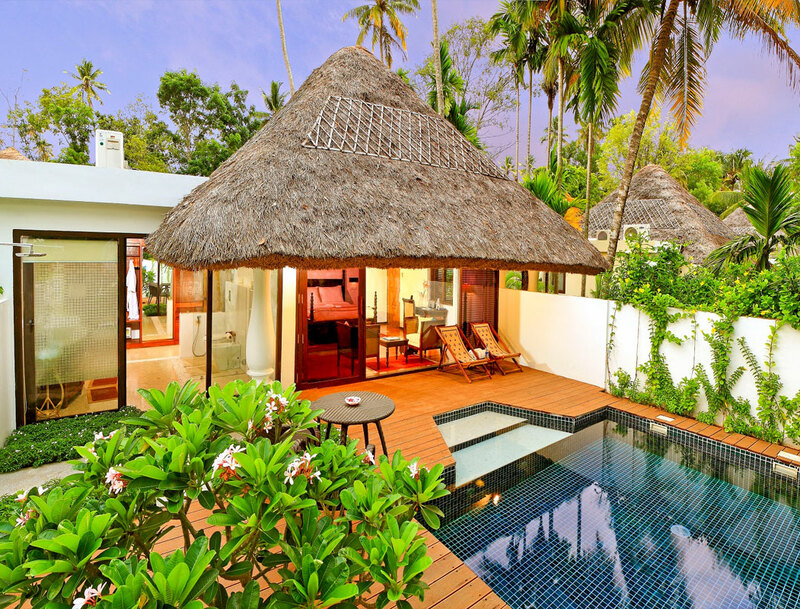 At Carnoustie’s Aryavaidyasala Wellness Spa, prepare to be immersed in a transformative ambience, with the sound of the ocean, a mirror-flat pool in front of your room, sustainability inclined luxury thatched cottages and exquisite customized dining options. The spa experience here is a nuanced blend of traditional and world therapies, but only after you consult with the in-house doctor. Spend several days in the magical landscape of the South Western edge of India along the golden strip of sand in Kerala, to enjoy the majestic beauty of the swaying palms and the luxurious spa retreat. 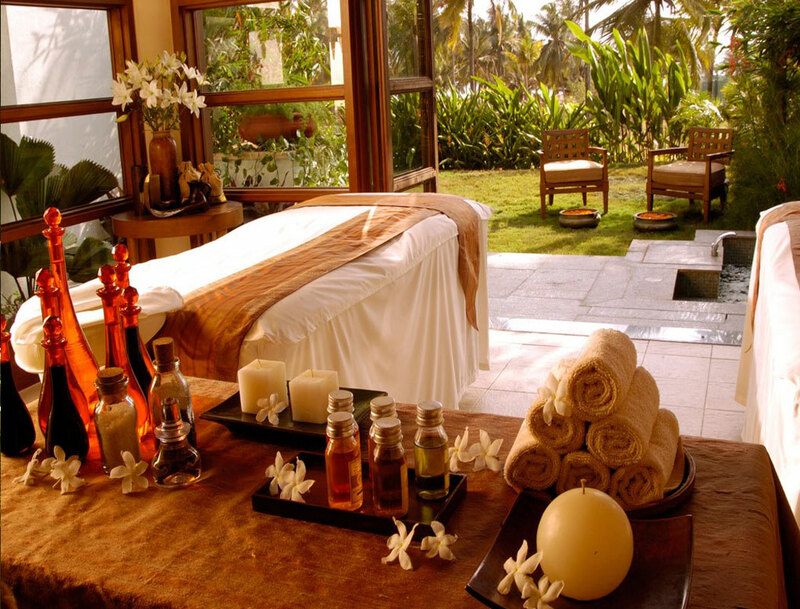 The combination of Ayurveda and wellness makes Arya Vaidyashala the perfect place for detox and anti ageing programmes. Aryavaidyasala’s spa platter offers everything for a body in need for rejuvenation - from traditional Ayurveda treatments to natural oil massages, use of warm volcanic stones, Thai stretches are synthesized with reflexology. You also have the option of enrolling into the stress management programme, weight loss schedule, yoga classes, skin care or a detox programme. In the heart of God’s own country, Ayurveda takes focus. Sample age-old rejuvenation therapies to usher your body into the Zen like state. You can choose the traditional Ayurvedic treatments for a taste of ancient wisdom and comprehensive massage techniques or opt for the unique tailor made massages with a contemporary twist that inspire total surrender of the senses. A hidden beachside resort, the Marari Beach Resort is a sanctuary of elegance and serenity. At the spa, a world of healing, pampering and rejuvenation awaits in the form of best of Kerala’s ancient wisdom and basic and fun massages for refreshing yourself. The resort lies at the edge of the Mararikulam fishing village. Perfectly located between Alleppey and Cochin, this is a great pit stop to add to the itinerary. Be prepared to revitalize your mind, body and soul with holistic massage treatments that promise serenity. Reserve at least a week to fourteen days in order to let the magic of Ayurveda take course. Along with a first class range of pampering products and massages, evolved Ayurvedic practices like Shirodhara, Abhyanga, Kundalini, Kati Basti, Udvartanam and Netra Basti are offered to nurture the body. These help to eliminate emotional and stress related blocks for complete rejuvenation. Add to that the focus on eating well, yoga and meditation to the sound of the waves and the trip will be a truly cathartic one. Nestled in the secret sandy hideout of Arossim Beach, Park Hyatt’s Sereno Spa amps up a holiday by offering absolute relaxation and ultimate rejuvenation. Ensconced in luxury and a restful ambience, one cannot help but feel refreshed and also encounter spiritual gratification. Goa has a special charm that makes you relaxed instantly. Add to that the Sereno Spa magic of complete rejuvenation and your trip will be complete. 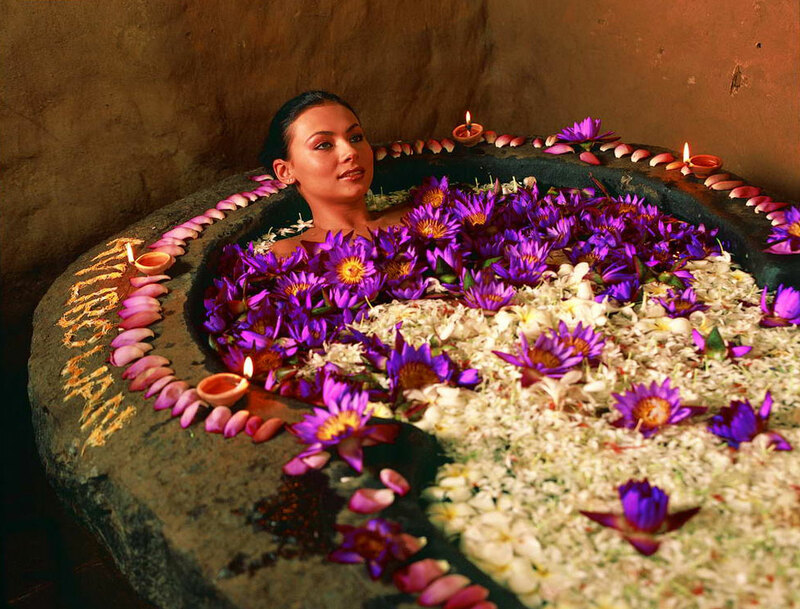 Not only are modern healing practices the highlight here, they also offer the best of traditional Ayurveda. This is the best place to pamper yourself with easy massages, facials and body scrubs. Apart from the Signature Sereno Spa Experience of extensive marine ritual, the spa also offers an expansive list of treatments that relax, rejuvenate, energize, hydrate or detoxify. Of the many packages that are offered to guests, the Marine experience is the most popular one. It is designed to tone the body and mind, using seaweed and mineral-based luxury products to balance the skin of the face and body. You can also sign up for a casual romantic couple’s spa day. Other packages like Sweden Yantra, Purush and Wellness at the Park add to the menu to choose from. Reward yourself with the stunning views and background score of the Indian Ocean at the Wadduwa beach. A cleansing of the body and soul ensues in this Ayurveda Health Resort with green vistas of woodland and meadows. Here, you can get the perfect mix of wellness and serenity. 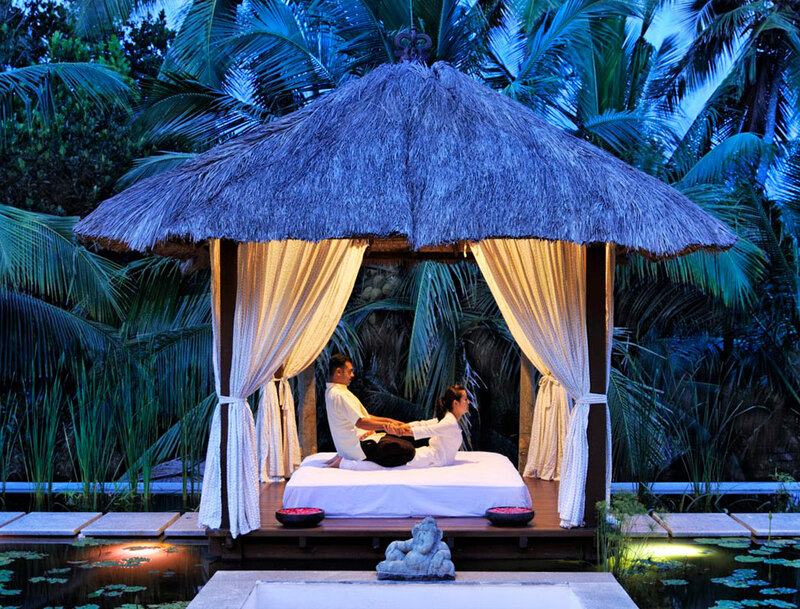 Immersion in Ayurveda, Yoga and ancient healing practices are nothing short of paradisiacal. This is even better when one is wedged at the fringes of a blue ocean – a perfect complementing landscape for a day at the spa. The Ayur Centre first studies the balance of your body, implementing the principles of Prakruthi, (innermost nature of an individual) and only then the guest is ushered in the world of Panchakarma or therapies like Piccichil, Netra Basti, Shirodara and more. The packages are largely serious ones and you should spend at least fourteen days for them to take effect. Casual rejuvenation packages are also available. A transformative wellness destination at the edge of the Arabian Sea, Niramaya promises to offer an ambience to harmonize the senses. Niramaya is one of the most coveted destinations on the edge of the Arabian Sea where wellness and luxury fuse together to offer the perfect ambience and experience. The retreat offers the stillness and charm of a seaside location with its private beach. Here, you can experience contemporary hospitality that integrates a seamless blend of regional heritage and culture presenting to its guests what is uniquely Niraamaya Experience. Short and long term spa treatments, yoga and modern International therapies are the highlight of Niramaya. Expect traditional Ayurveda treatments, natural oil massages, warm volcanic stones, Thai stretches and reflexology at the spa. But before this, you have to meet with the in-house doctor and experts who help you decide the full course of action during your time here. Specific therapies are then designed according to what you need. For example, if you’re there for only 5 nights, you can choose from a combination of yoga, Abhyangasnana, Ksheerasekam or Udwarthanam, Nasyam and others, depending on what you want the effect as.